Chelsea is the Program Director of Yoga Therapy at the Vancouver School of Yoga. The 300-hour Foundations of Yoga Therapy (FYT) program is designed to broaden and deepen yoga teachers’ knowledge and skills, enabling them to create individualized treatments as well as therapeutic yoga classes. This intensive program of study offers a holistic approach to therapy, looking at the person as a whole. 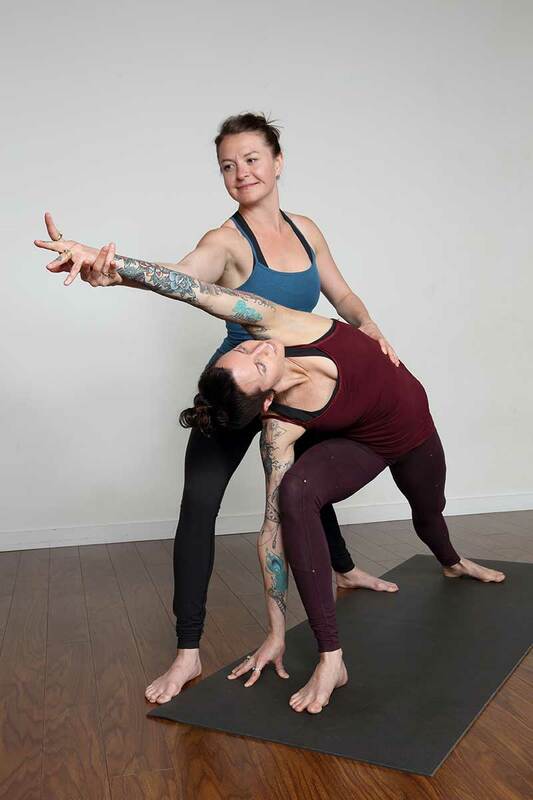 Students will gain a comprehensive understanding of the application yoga techniques to support their client’s healing on all levels of their being – physical, mental, emotional, spiritual and energetic. Students are required to have earned their 200 hour yoga teaching certification in order to be eligible for the Foundations of Yoga Therapy. Graduates of the Program will receive a PTIB (Private Training Institutions Branch) recognized certificate and can expect to be employable in various capacities in the healthcare industry worldwide. Following completion of the FYT, students are eligible to apply for the Advanced Yoga Therapy – 500 hour program, in order to obtain 1000 hours of training and apply to become Certified Yoga Therapists with the International Association of Yoga Therapy (C-IAYT). Classes are held Monday – Wednesday, 8:30 to 4:30, and Thursdays 8:30 – 12:30. There is a break over the Christmas Holidays. Visit the Vancouver School of Yoga website for more details on the Yoga Therapy program and Faculty members. This program expands on the in depth material covered in the Foundations of Yoga Therapy program, delving deeper into every component and broadening the therapist’s knowledge and skills. The 500 hour Yoga Therapy program is offered biyearly, delivered over three terms. The next intake begins February 1st, 2019 and completes October 14th, 2020. A self directed component of the program with a case study supported through an online forum. Students will meet on campus on two occasions; the first weekend classes are held on Saturday and Sunday 9:00am to 6:00pm – students will defend their research on December 13th, times determined by class size. Clinic orientation is from 5:30pm to 9:30pm and all proceeding student clinic dates are scheduled from 5:30pm to 8:30pm. RAD Yoga 1 is designed to assist teachers in bringing a higher level of self-myofascial release (SMR) knowledge back to the mat. SMR tools are game changers when looking to assess and correct weak links in the chain of mobility, and can be a very healthy way to remove structural hindrances along the way. We’ll be working through the anatomy and giving you tools and asanas to build healthy mobility throughout the body. You’ll also learn how to sequence the usage so you have powerful tools to bring back to your class and students. Connect with Chelsea if you have questions or are interested in hosting a training at your facility/studio. For more RAD Roller videos click here. 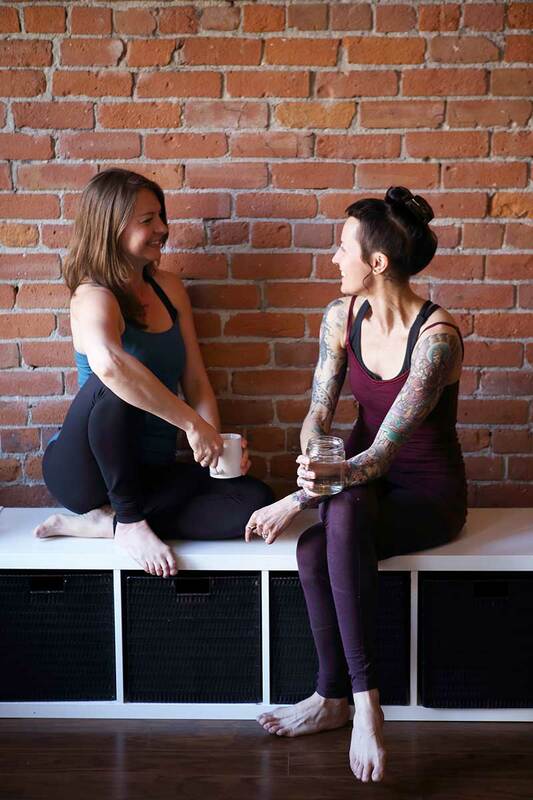 The 6-week yoga therapy mentorship program is intended to bridge the gap between your training and the working world. It is suitable for graduates of the a Yoga Therapy program, interested in further development & consolidation of their skills in offering private yoga therapy. The specific focus of your mentorship will be adapted based on your interests, needs and desires, and there is some flexibility with regards to the time-line of the program. 6 one-hour supervised yoga therapy sessions held weekly with you as the lead therapist, and Chelsea as the supervisor. These sessions will be complimentary for the client – you’re welcome to bring someone you would like to work with, or Chelsea will find a client/clients for you (6 hours total). 1 hour weekly meetings to be used as desired – content/material review/tutoring, or debrief & treatment feedback on weekly private yoga therapy sessions held by you outside of the clinic (6 hours total). To discuss registration, connect with Chelsea. **Options are available for mentorship if you are interested in weekly/bi-weekly debriefing without clinical shadowing & supervision. Connect with Chelsea to discuss.